Employee Spotlight - Byce & Associates, Inc.
Meet Keith, an Electrical Engineer at Byce & Associates, Inc. who graduated from Western Michigan University in 2013 with a BS in electrical engineering and minor in mathematics. Keith’s favorite part about his job is seeing a project come to life and the impact it has on the community. While most drive their cars to work, Keith, who conveniently lives in downtown Kalamazoo, rides his long board to work. When he’s not in the office he spends his time doing outdoor activities, traveling, and even brews his own craft beer! Keith has experience working on a wide range of projects including commercial, educational, industrial, government, and healthcare. 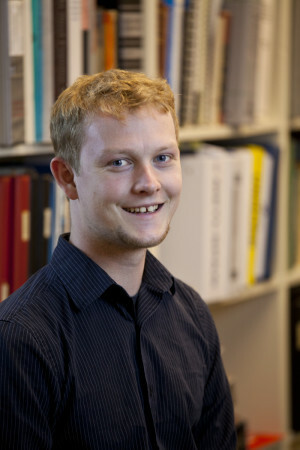 He recently received his Professional Engineers (PE) license. CONGRATS Keith! 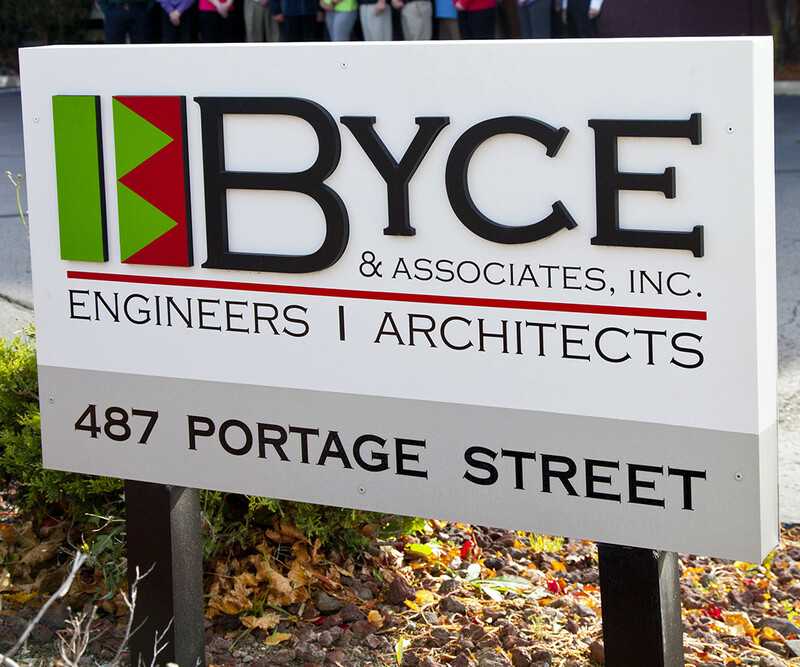 We caught up with him to find out about what he does at Byce & Associates, Inc. and his life outside of the office. What have you done the last 4 years you have worked here? I have been learning constantly since I started at Byce four years ago. I came in with a bit of internship experience and turned it into the ability to design an electrical system for a variety of situations, complying with all necessary codes and standards. I have played a key role in the electrical design for Newell Rubbermaid, Stryker Quad II Office Space, 2700 West Mixed-Use Development, Livingston County Jail Addition, Bell’s Brewery Expansion, and The Exchange. I also developed the Byce electrical standards for our Revit system. This includes creating many 3D electrical components which can be implemented into any of our building models. I started at Byce with 10 months of internship experience in this A+E industry. Through the last 4 years I have gained a good understanding of the codes and standards required for good electrical design including NEC Electrical Code requirements, NFPA Fire Code, and IES Lighting Standards. I have also learned how to create and model an electrical design in 3D using Revit. I can now build 3D components for the building model, add electrical characteristics to them, connect them to power circuits, and have total loads reported and scheduled for modeled power distribution equipment. What made you choose your profession? I was drawn to the engineering field because I have always enjoyed figuring out how everything works. I’ve always been that person to take things apart and see if I can put it back together again. I really enjoyed my math and science courses in school. After taking Physics II at WMU (this is the first course I got a real taste of learning about how electricity works) I found the electrical field was very cool and fun to learn about. I really like working in the building design and construction industry. It is awesome to see the projects you work on become a major part of the city you live in and impact the lives of people around you. What is the most “challenging” thing you do at work? Some of the most challenging work we do here is working with existing buildings for renovations and additions. To start a renovation project, you really need to dig in and do a thorough investigation into how the building works and how all its systems got to be how they are today. This is not always clear from the beginning. What is the most “exciting” thing you do at work? It is very exciting to see our projects come to life in the real world. When construction begins and you can see the project start to take shape. The community and the area around the project is starting to transform and that is very cool to see. What is your greatest accomplishment within electrical engineering? Becoming a professional engineer has been a long process. Getting the certification feels like a significant milestone, but the learning I have done along the way is the real accomplishment. I can now take a proposed architectural design and create a power system infrastructure to support the project. This could not be said four years ago. One of my favorite projects I have worked on is the 2700 West Mixed-Use Development. Being a Western Michigan University alum I can really understand the impact this has on the students living off campus. It has really changed how the area looks and operates. What is a project you found to be most challenging to work on? The Park Club renovations have been some of the most challenging to work on. The building has been changing over a very long time so it is difficult to track down how the whole place really works. What do you do to enhance a project? I enhance a project by taking pride in my work. It is a lot easier to come up with a solution that ‘just works’, opposed to the ‘best’ solution. After the project is complete, it will be standing for a long time. I would like to be proud to say ‘I worked on that’ as I walk by for years to come. Creating a 3D model using Revit has really helped visualize a project during the design phase. Additionally, the phrase ‘design matters’ is a big part of what we do to enhance the project and I try to follow this throughout the process. Sure a system can be simply placed in the space to make it work, but is it really the best way the problem can be solved and is it the best way to integrate it into the rest of the project? What professional service organization(s) are you currently involved in? I am currently a member of the Illuminating Engineering Society (IES). How do you foresee your involvement growing in the organization(s)? Someday I would like to present a project for their annual Lighting Design Awards. What leadership roles have you taken on, if any, in the professional service organization(s)? I have studied the standards and recommended practices created by the society to become a certified lighting designer (LC). When you are not working, what do you like to do? When I am not working I like to travel and do outdoor activities. Every summer I visit the family cottage up in northern Michigan where we spend time on the lake, grill lots of great food, cruise the trails on dirt bikes, and sit around the bonfire. I have also become an avid home brewer and have brewed many successful batches of craft beer. I would rather have more work I am proud to be a part of. Visit all the national parks.